Have you tried coconut flour yet? I bought some coconut flour a while ago, and I’ve been experimenting with it ever since. I’ve made banana breads and cookies and bars and all sorts of things with it. Since it doesn’t sub in for whole wheat flour at a 1:1 ratio, so it one that you really have to play around with. If you’d never used it, it can give baked goods a different texture than all-purpose flour. 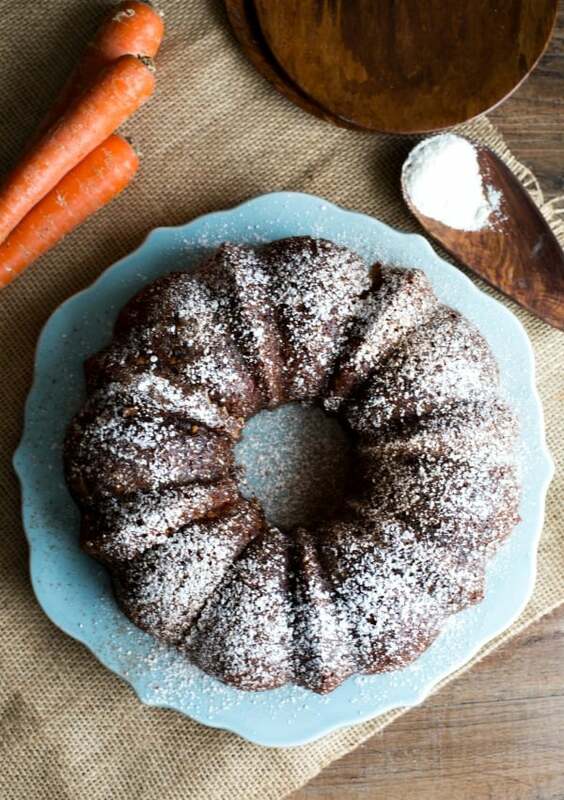 This Coconut Flour Carrot Bundt Cake, for instance, has a really light, fluffy texture to it. 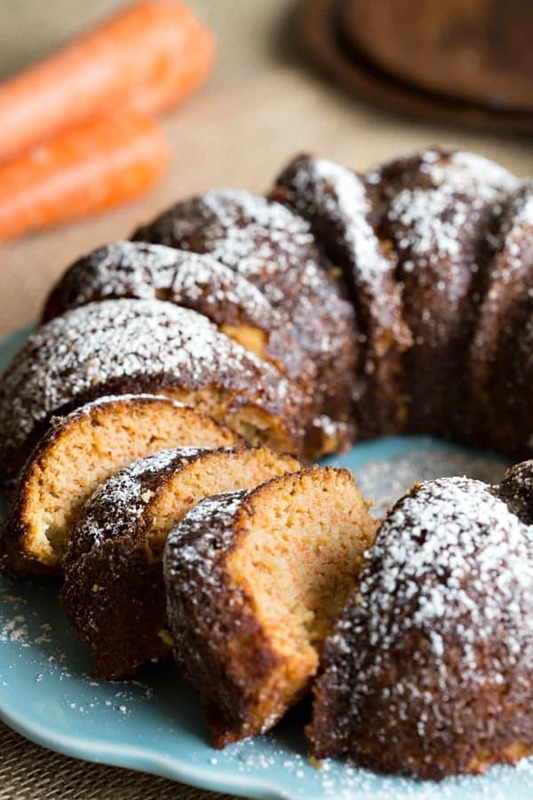 It is sort of like a cross between a regular carrot cake and a sponge cake. This cake is especially great to serve if you’re looking for a lighter alternative for Easter dessert. It has a lot less oil, and the coconut flour is lower in carbs and higher in fiber than all-purpose flour. Preheat the oven to 350 F. Generously grease a bundt pan. 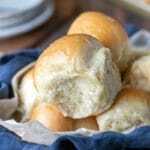 In a medium bow, whisk together coconut flour, cinnamon, ginger, nutmeg, salt, and baking soda. In a separate large bowl, whisk together agave nectar, coconut oil, pineapple juice, nondairy milk, and vanilla. Whisk in dry ingredients until just combined. Stir in carrots and crushed pineapple. Pour the batter into prepared pan. Bake for about 40-55 minutes. Let cool in pan for 10-15 minutes. Gently loosen cake from pan, and let cool on a wire cooling rack. Serve plain or dusted with powdered sugar, if desired. This was delicious – thank you for the recipe! I follow a strict gluten free diet and this is by far the best cake recipe I have ever made. Thank you so much! That’s a huge compliment. =) I’m glad that you liked the cake, and I appreciate you taking the time to come back and comment. Family has to be gluten free..sounds like a great treat for Easter. 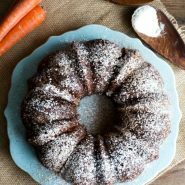 What do you use to grease the bundt pan? Thanks! There are nonstick sprays that are gluten free. I’m not sure which ones are certified, though. You can brush the pan with coconut oil. I hope that helps! 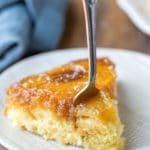 This is such a nice recipe =) But I have one question, is it too critical to use coconut flour or it just like the ordinary flour? It is my first, if ever I’ll use this kind! Anyways, this bundt cake is just mouth-watering that I can resist to make it =) Looks like I found a good partner with Mott32 hk’s ice tea! Thanks! 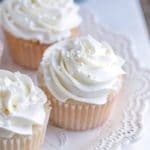 Unfortunately, coconut flour and all-purpose flour can’t be substituted at a 1:1 ratio, so the recipe would need to be re-worked for all-purpose flour. I have used coconut flour a little bit. 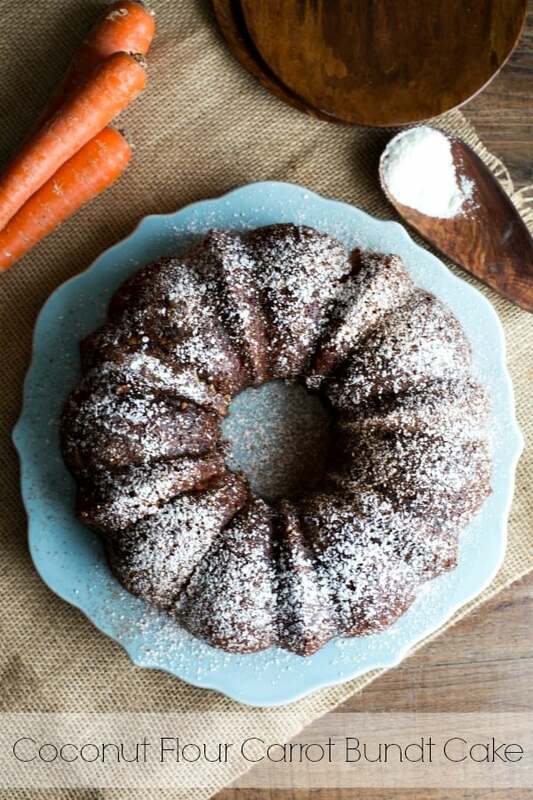 But this carrot cake looks like a delicious way to get better acquainted with it! Pinning! Thank you! It’s definitely different to bake with, but I like it! Just bought coconut flour, because of its low carb, high fiber. So glad I saw your recipe, am definitely making for Easter.